This previously owned plate comes in good condition, and measures approximately 20.5 cms in diameter. 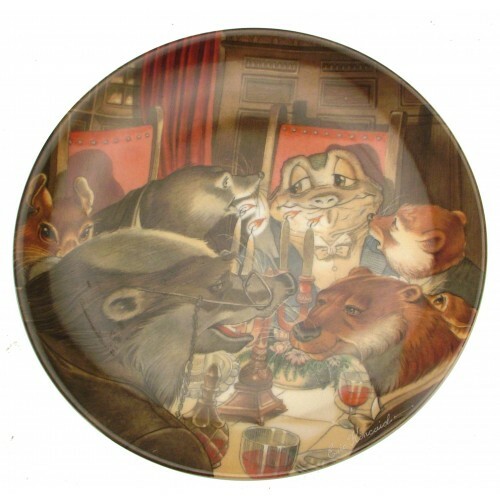 Charming Royal Doulton plate from the Old Country Crafts series. This one is tenth in the series. Al..
Norman Rockwell plate, eighth issue in the series. Although previously owned, this plate is in good ..
An unusual decorative plate with blue border and romantic scene to centre. Unknown manufacturer, alt.. Impressive Royal Doulton aborigine plate, previously owned but in good condition. Plate measures app..